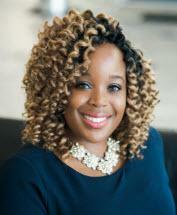 Chetammia Holmes obtained her undergraduate degree from the University of Texas at Arlington. She earned a J.D. from Southern Methodist University Dedman School of Law. Ms. Holmes is qualified to be court-appointed as a Mediator in family law cases and has received over 70 hours of mediation training. During her time with the firm she has focused exclusively on family law matters. Her experience includes the following: pre marital and post marital agreements, divorce, protective orders, temporary restraining orders, enforcement actions, modification of prior orders, termination of parental rights, adoption, child custody disputes, international child abductions, paternity, Attorney General and child support issues. Ms. Holmes has both trial and mediation experience as well as experience taking and defending depositions. She is also an author of various articles relating to family law. Ms. Holmes is aware that each case is unique and is devoted to achieving desired results. She has represented a diverse group of clients throughout Dallas County, Denton County, Collin County, Rockwall County and Ellis County. Paternity Fraud in Texas - The Great Debate , Co-Author with Natalie L. Webb, UTCLE Family Law on the Front Lines, San Antonio , Texas, June 18-19, 2009. Changes in Property and Trends for the Future , Co-Author with Natalie L. Webb, Advanced Family Law Course, Dallas , TX, August 3-6, 2009.
Who's Your Daddy? Paternity Fraud in Texas, Co-Author with Natalie L. Webb, Family Law on the Front Lines, San Antonio , Texas, July 1-2, 2010. Zealous Representation Within the Bounds of the Law , Co-Author with Brian L. Webb, Advanced Parent-Child Relationships , Houston , TX, January 26-28, 2011. Attacking and Defending Mediated Settlement Agreements, Co-Author with Kay Redburn, Natalie Webb and Brant Webb, Marriage Dissolution Institute, Austin, TX April 27-29, 2011. Discovery Requests in the 21st Century, Not Much Better than They Used to Be , Co-Author with Brant Webb, Kay Redburn, and Natalie Webb, Advanced Family Law Course, San Antonio , Texas, August 1-4, 2011. Premarital and Post-marital Agreements, Co-Author with Brian L. Webb, State Bar of Texas Annual Meeting, Dallas, TX June 20,2013. You Have A Client On The Phone: Now What? (Practice Tips for New Lawyers and Those New to Family Law) , Speaker and Co-Author with Kay Redburn, Family Law 101 Law Course, San Antonio , TX, August 4, 2013. Amicus Attorneys and Ad Litems, Co-Author with Hon. Andrea Plumlee, Advanced Family Law Course, San Antonio , TX, August 5-8, 2013. Webb and Brant Webb, Family Law 101 Law Course, San Antonio, TX, August 3, 2014.